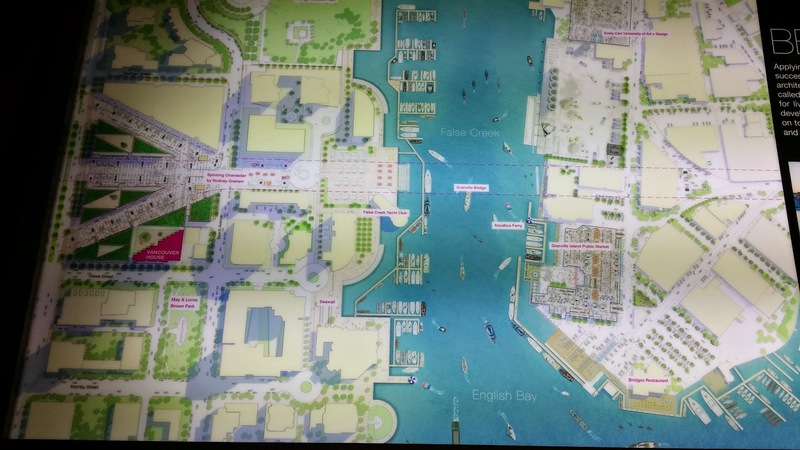 Recall our post on July 19th about this new iconic development in Vancouver? 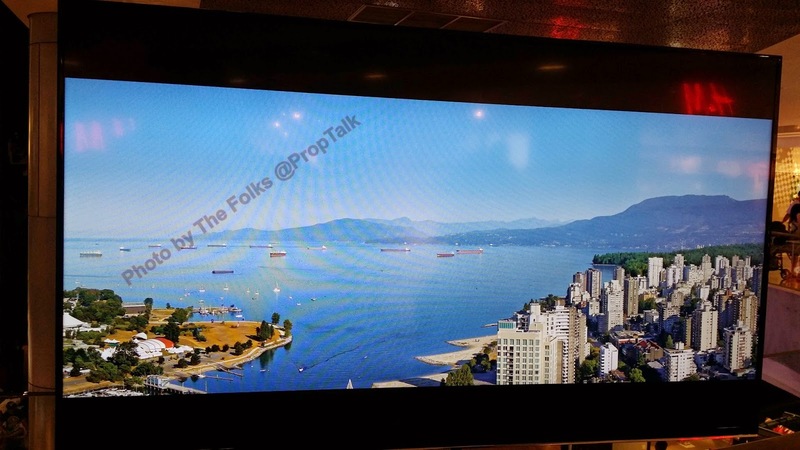 The wife and I were unable to make it to the July 19/20 weekend preview of Vancouver House at Four Seasons Hotel. But we were pleasantly surprised to learn that they were holding another road-show - at ION Orchard this time - over last weekend. So we decided to drop by to have a look yesterday. Firstly, one advice to marketing agent/foreign developers looking to market their projects here in Singapore: Please stick to holding your property previews/launches at the function rooms of our local hotels or at least some dedicated enclosed locations. The spot that was chosen to hold the road-show was so "open" that once the mall started filling up with human traffic (especially on a Sunday), the surrounding noise level became rather distracting and not conducive at all to talk shop. It did not help when Mediacorp had decided to hold an event at the atrium one level down later that afternoon. We reckoned that whatever conversation will be mostly drowned out once the event starts. As far as sales status is concerned, we were informed that about 35 units were sold during the July 19/20 preview. This already exceeded the 30 units that was earmarked for pre-launch in Singapore. 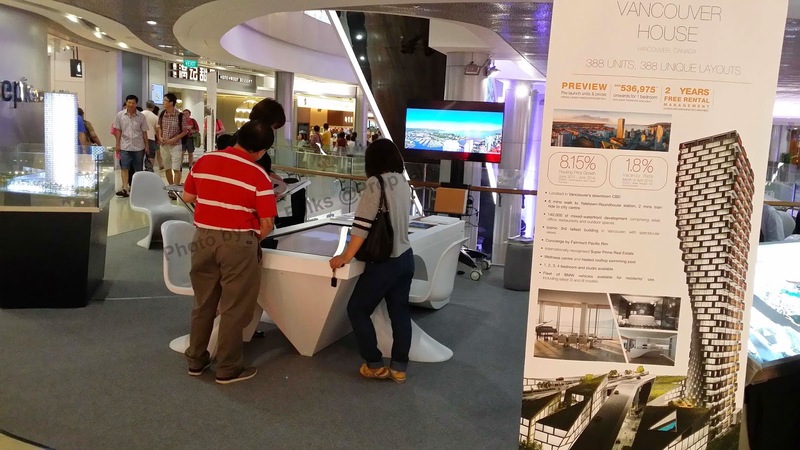 Given the better than expected take-up, the marketing agent has managed to secured more units for sale in Singapore and thus explained the second road-show at ION. A preview was held in Hong Kong last week, where another 100 units were put out for pre-launch. Another preview will be held in Taiwan this week. Units on levels 48 - 57 are deemed the "Estate Floors". 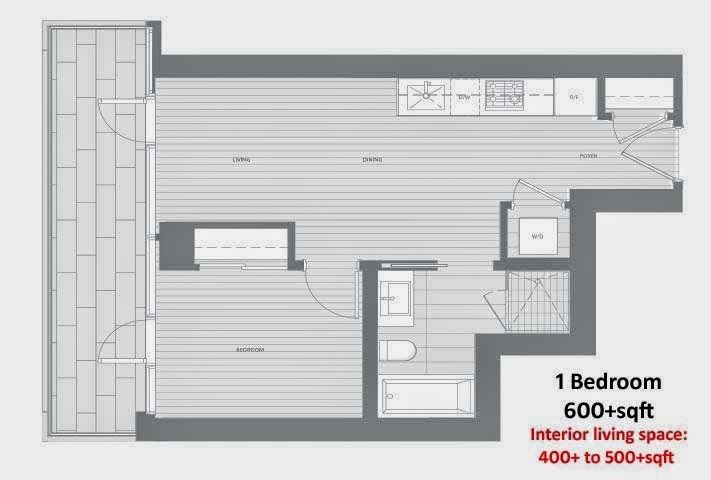 These consist of larger units - the smallest units are 2 bedrooms with library of over 1,800sqft) and come with high-end furnishings and an island kitchen. The aircon/heat are included in the maintenance charge, which will cost you 55 Canadian cents per square foot per month. This means that you can (if you so choose to) switch on the air-conditioning 24 hours a day during summer or heat during winter without busting your power bills. There are 2 additional payments that are involved in the purchase, GST (5%) and Title Transfer Tax - which is the equivalent of stamp duty (2%). However, these are payable only upon the project's completion in 2018. And should you choose to resell your unit before completion, the GST/Title Transfer Tax will become your buyer's problem. Speaking of resale ("subsale" in our local terminology), you can start to resell your unit once the S&P is signed. This will be done via a reassignment of your unit. And unlike in the UK where the "assignment" rights are only partial (i.e. the developer will only deal with the original buyer even after the resale is made, and has the legal right of recourse from the original buyer if the new buyer fails to complete the purchase), the "reassignment" of properties in Vancouver is more akin to what we are familiar with in Singapore, i.e. the apartment concerned becomes the new owner's problem once the resale is transacted. A capital gains tax is applicable when you sell your apartment. The tax rate may be subjected to revision every year. But for 2014, any capital gain is taxed based on 21% of half of your total gains, e.g. if you sell your apartment by 31st December 2014 and make a profit of say, C$200K, your tax will be 21% of C$100K = C$21K. Mortgage wise, one can only take a bank loan of up to a maximum of 65% of the total purchase price. The current interest rate being offered by banks is around 3%. So what will it cost you to rent out your apartment? The typical charge from property agents is 1 month's commission + another 5 - 6% (based on annual rental) for management fees. But with Vancouver House, the developer has thrown in a "Rental Management Package" for the first 2 years. What this means is that they will absorbed the rental commission and management fees during this period. The expected rental yield is around 5 - 7% gross. The current vacancy rate in Vancouver is said to be about 1.8% - what this means is that 98% of the apartments up for rental are currently occupied. Unlike most property transaction, no legal fees will be incurred for conveyance. The S&P document for property purchase in Vancouver is said to be so standard that there is no need to get the lawyers involved. However, one can always arrange for a lawyer in Singapore to review the S&P - the marketing agent can help facilitate this @S$1,200. One question may come to mind since there is no lawyer involved in the conveyance: does this mean that whatever initial down-payment that you pay will go straight to the developer's bank account? If so, what happens if they abscond/go bankrupt?? The wife and I checked (since we had the experience of a supposed renowned developer going bust on us in NZ) and whatever money that is paid will still be held in trust by a lawyer appointed by the developer. So one can rest easy. Reservation fee of S$5,000 payable on reservation. 10% purchase price payable upon execution of S&P agreement. The reservation fee will be refunded upon receipt of full 10% deposit by developer's solicitor. Further 15% of purchase price payable within 6 months after execution of S&P agreement. The wife and I were told that apartments facing North/North-West is supposedly the "premium" units, which probably explained why most of the North/North-West facing apartments are the larger apartments. Also, many of the North/North-West units have already been sold. Pricing wise, the North/North-West units are typically at about C$100/psf premium compared to its South/South-East counterparts. So we were advised that one should look at North/North-West units if buying for resale/subsale purposes. But if buying for rental yields, one should probably go with the cheaper South/South-East facing units. The apartment layouts are generally quite regular in shape (i.e. no awkward corners). But between the standard 1-bedroom apartment and the 1-bedroom "flex" unit, the wife and I preferred the former. This is because the standard 1-bedder has what we termed as a "proper" bedroom + living + dining area, while the "flex" unit only has a sliding partition between the bedroom (which also acts as the living area) and dining area. Also, the "flex" unit is a tad too small for our liking. The 1-bedroom units were priced at around C$1,000 - $1,200psf, which were quite comparable to the selling price of other new developments in Vancouver. 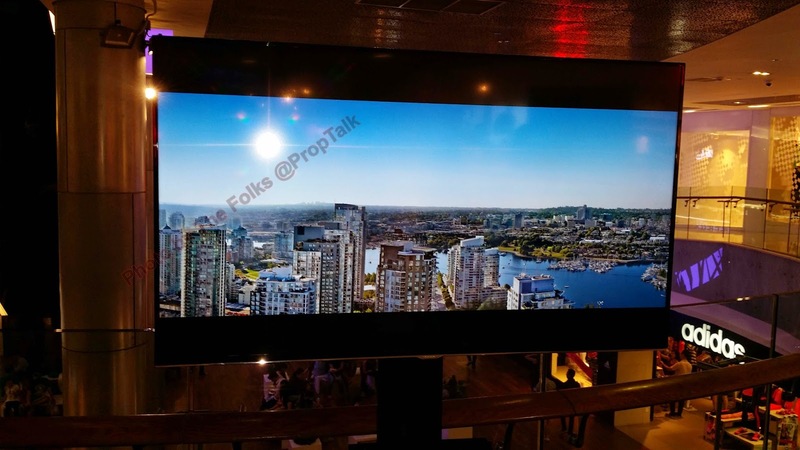 While the wife and I typically do not prefer large balconies, we were told that units with bigger balconies at Vancouver House are much sought after as the balcony provides an extensive view. It can also be utilised as an external dining area during the warmer months. the wife and I believe that the strong interests seen in their Asian previews thus far is a big affirmant to this development. 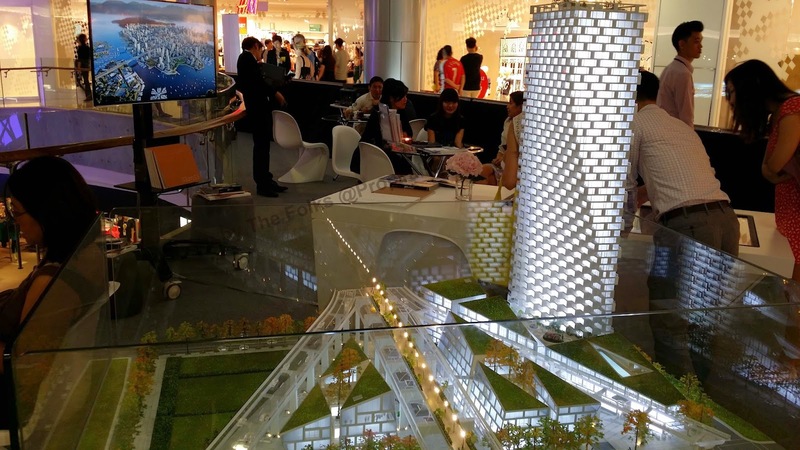 1 comment to ''Vancouver House: Our visit to the road-show"
There is a informative post about singapore properties and thanks for giving the such a good information about property .